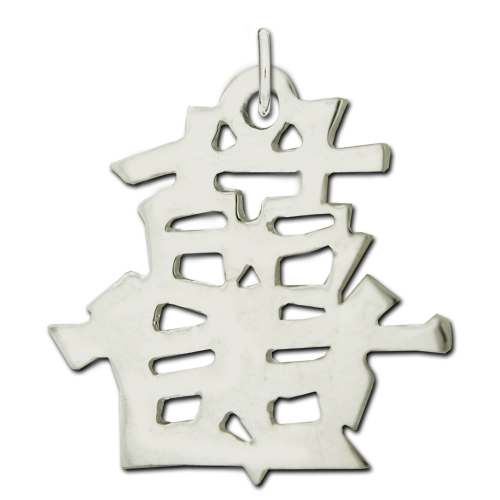 Pendant symbol means "Double Happiness". Traditional Chinese symbol, common in decorations and gifts, especially at weddings. English translation of the words "Double Happinss" are engraved on the back of the pendant. Item is available as a pendant.